Weloof is likely to start favourite here for Paul D’Arcy and Adam Kirby. The gelding joined D’Arcy from John Butler’s yard after finishing second to Delicate Kiss over course and distance in December. He started a well-backed favourite that day but didn’t get the smoothest of runs through the field. He has gone up a couple of pounds and stall eleven is not ideal so he will need a bit of luck in running. He is drawn alongside possibly his biggest danger, top weight Mr Mac. Peter Hedger’s five-year-old carries a 6lbs penalty for his last-to-first swoop here last week. He gave 2lbs and a length and a quarter beating to Delicate Kiss. Weloof was attempting to concede 6lbs to the same horse so comes out best here on a line through the winner. Shamshon has been in terrific form recently for Stuart Williams, winning two of his last four starts. His only disappointing run came at Wolverhampton in December when sixth to You’re Cool but he was beaten under two lengths that day off a muddling pace. He bounced back in fine style to beat Red Pike at Chelmsford under 9st 12lbs. He has gone up just 3lbs with Nicola Currie taking over the reins from Richard Kingscote. Gorgeous Noora caught the eye when finishing an unlucky third to Alsvinder here six days ago. Archie Watson’s mare was settled on the inner by Hollie Doyle and never really had a clear run at the leaders. It was to her credit that she finished only a length and a quarter behind in third. She was formerly trained by Luca Cumani and won a decent handicap at Newmarket in the summer. John Gosden likes to keep his stable ticking over on the all-weather and has an excellent chance of closing out the card here with a winner. Gantier is a gelding by Frankel out of a mare by In The Wings and is virtually a winner without a penalty here. Robert Havlin looked to have done everything right at Wolverhampton in November but was caught in the very last stride by 50-1 shot Eightsome Reel. Gantier did not look a straight-forward ride, being slowly away and having to be driven along some way out. Nonetheless, he responded well and should be capable of winning in this grade. Marhaban is a New Approach colt from the Charlie Appleby yard and he finished a fair fifth on his debut at Wolverhampton. He made the running that day and could be a threat if ridden with more restraint. Ryan Moore is set to make the trip to Lingfield to ride the unraced Allocator, a Kendargent colt trained by Richard Hannon. He could one to keep an eye on in the betting exchanges. Top weight Sharp Operator is likely to start favourite for Charlie Wallis and Richard Kingscote. 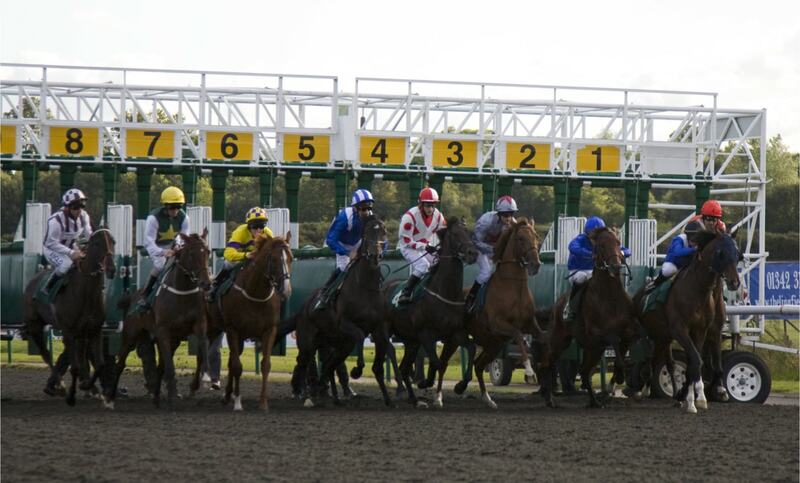 The six-year-old has been knocking on the door recently and was denied by a head at Lingfield last time out. The son of Medicean travels strongly and likes to arrive late on the scene. Kingscote will probably try to drop him in behind from the one stall and weave his way through in the closing stages. John Best saddles Mullarkey, a five-year-old gelding by Mullionmileanhour. He has only one victory from 22 starts but ran well when fourth to Baasha at Chelmsford last time. He was only narrowly behind Sharp Operator and is marginally better off at the weights. Kieren Fox has a different set of problems from stall 14 but Mullarkey looks an obvious threat. Only four runners here but it still makes for a trappy little contest. Ryan Moore has been booked by William Haggas to partner Kentucky Kingdom, placed in two of his three starts. He raced quite keenly when eventually finishing only a short-neck away in third at Newcastle last time. A repeat of that performance may be good enough to lose his maiden tag. Spirit Warning also took quite a strong hold when runner-up to Alkaamel at Kempton. Andrew Balding’s gelding was second at Epsom last July and looks capable of making his mark in handicaps. Given Choice looks a solid favourite here for Simon Crisford. The four-year-old filly cruised to a five lengths win in a poor contest at Wolverhampton recently. She carries a 6lbs penalty but that is virtually wiped out by the claim of Cameron Noble. The one likely to give her a race here is easy Wolverhampton seller winner Dalileo, trained by Mark Johnston and ridden by Franny Norton. The son of Galileo was dropped in grade after a couple of poor efforts but never looked in danger of defeat. You can never rule out Johnston’s runners in these staying handicaps and he is 2lbs lower than his last handicap defeat. A very competitive ten furlong handicap here with Alan King’s Nylon Speed attempting to follow up his impressive success at Lingfield. He won a novices’ hurdle at Warwick in September but was subsequently disappointing so King elected to run him back on the flat. He was instantly rewarded with a comfortable victory, being eased down to beat Dutch Uncle by two lengths. He has gone up 5lbs but looks the one to beat here. New Agenda has also been plying his trade over hurdles, winning under Richard Johnson at Ludlow in October. He had previously finished a close third to Victory Chime in a handicap here at Kempton. New Agenda can be a bit keen in the early stages so Adam Kirby will be looking to tuck him in behind the leaders early on.